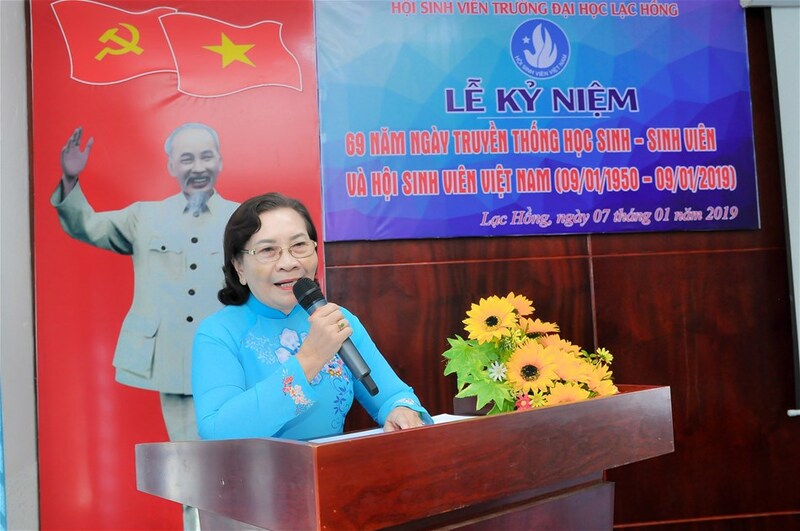 In the morning of January 7, LHU Students Association held a get-together to mark the 69th anniversary of TraditionalDay of Vietnamese students and Vietnamese Students' Association (January 1, 1950-January 1, 2019) and to praise outstanding students who achieved "Students with five good merits" title, University level in the academic year 2017 - 2018. The ceremony was attended by representatives of Dong Nai Provincial Youth Union - Student Association; LHU delegates including Secretary of Party Committee Nguyen Trung Phuong, Vice Rector Nguyen Thi Thu Lan, Secretary of Youth Union Le Son Quang, Chairman of Student Association Tran Tien, cadres, comrades, representatives from faculties, departments, Veterans Association, nearly 200 students, typical students and excellent individuals in 2018 Student Association’s activities. 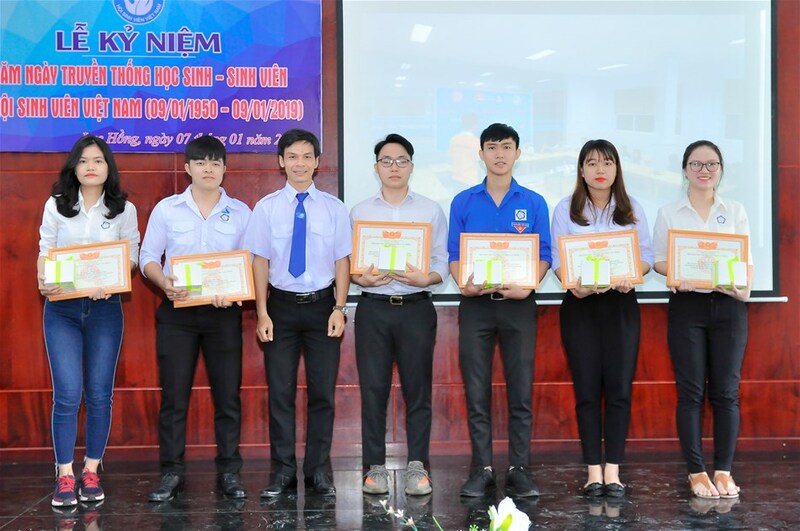 The program reviewed glorious traditions of Vietnamese Student Association and to praise excellent collectives and individuals for their outstanding achievements and contributions to students’ movements. On the occasion, the University Students' Association awarded the title "Students with five good merits", University level to 69 students, and handed over certificates of merit to collectives and individuals for their excellent achievements in Student Association activities in 2017 - 2018 academic year.